We’re often asked by businesses about our partnership and integrations with Google. This article addresses Frequently Asked Questions (FAQs) and provides details on our integrations with Google. FAQ 1: Does BirdEye allow review gating? The BirdEye platform does not allow review gating in any way, shape or form for any customers. Here is a detailed blog post on our Google-compliant review request process. FAQ 2: What’s the highest level of partnership or integration with Google? Fully integrated Google partners have official Google APIs for every step of the review process. 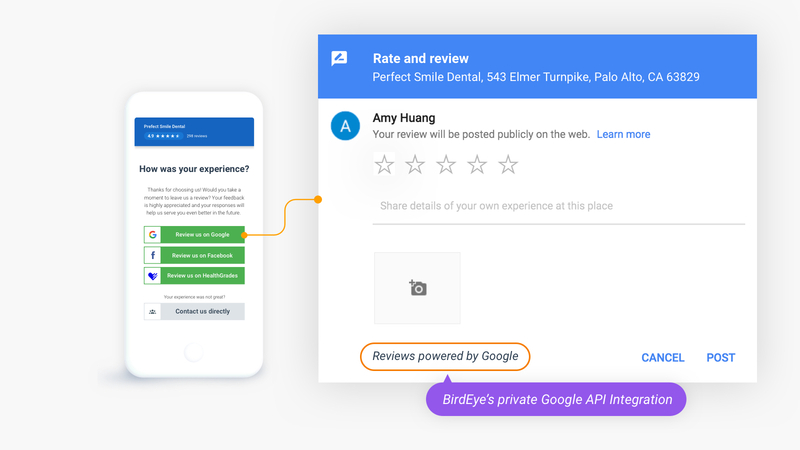 BirdEye is one of the few companies that is integrated with Google’s private API to directly collect and display Google reviews. You can identify a direct Google partner by the “Reviews powered by Google” message in the review submission form. The private API integration reduces the load time of the review form significantly, increasing the conversion of review submissions. FAQ 3: Company X says “We get preferred treatment from Google because of X.” Is this legitimate? Any claim like this should raise a red flag regarding that company’s trustworthiness. Google’s mission is to keep its search results and reviews 100% objective; Google will not bias its reviews to favor any business or vendor. Rather, they give priority to relevant, informative, authentic content. The best way to increase Google reviews is to adhere to Google policies and use a platform that is fully integrated with Google, such as BirdEye. FAQ 4: Is your platform integrated with ‘Google My Business’? Yes, BirdEye is directly integrated with ‘Google My Business’. 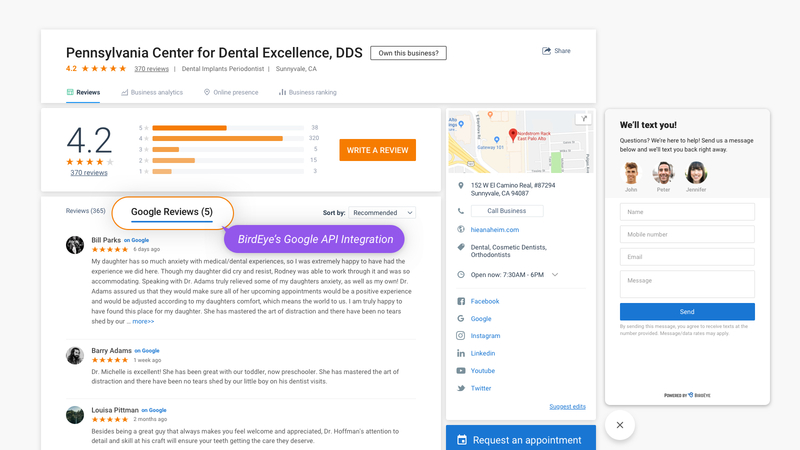 With this integration, businesses can respond to Google reviews from within their BirdEye dashboard and their response will be automatically posted to Google. BirdEye also lets businesses create review response templates to streamline review management. 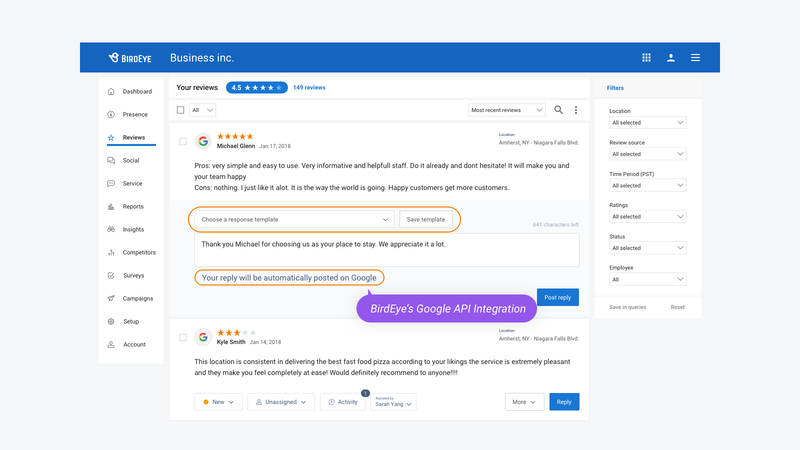 By making it convenient to respond to every review, BirdEye helps businesses solve problems faster and boost activity on their Google profiles. FAQ 5: What other integrations do you have with Google? BirdEye is integrated with Google maps and reviews to enhance the business profiles. This integration, along with accurate business listings, rich content, authentic reviews on BirdEye and instant engagement tools like Webchat, helps drive more engagement and convert more qualified leads. 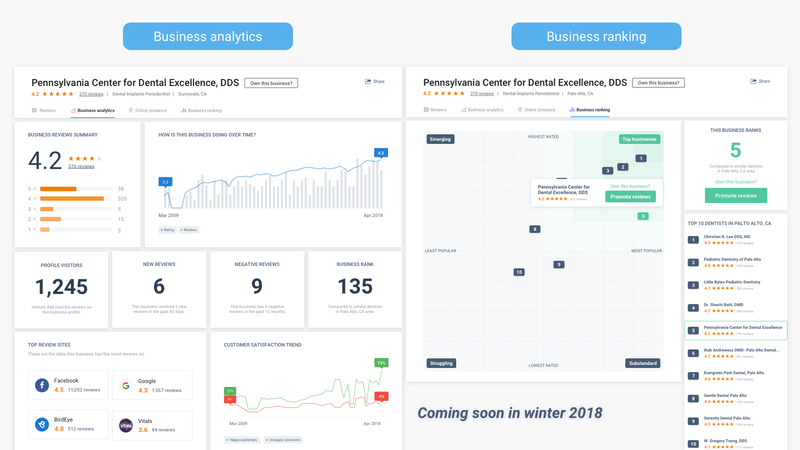 Stay tuned as we add Business analytics and Business ranking to our profiles as part of our Winter 2018 release! 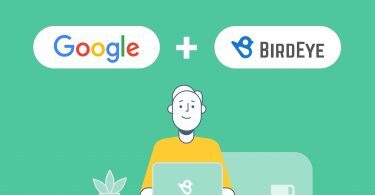 FAQ 6: How else does BirdEye partner with Google? In addition to our API integrations, we work closely with Google Maps team, collaborating on BirdEye’s roadmap and ensure alignment between Google and BirdEye’s vision now and in the future. FAQ 7: How is the BirdEye different from other review companies? 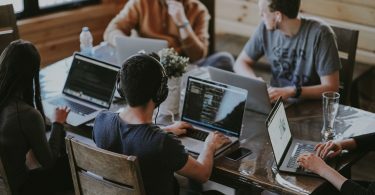 While there are several companies offering review management, BirdEye provides the most advanced review software in the market, and much more. BirdEye’s all-in-one software gives you the tools to acquire new customers and retain existing ones – reviews, social, surveys, listings management, webchat, ticketing, insights, competitive benchmarking.